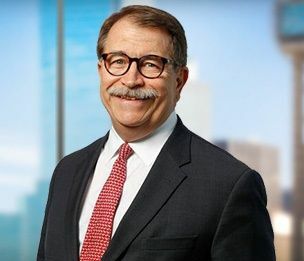 A veteran courtroom lawyer described as “really tenacious” by Chambers USA (2013), Tom Alleman is at home in trial and appellate courts throughout the United States. His practice focuses on litigation, regulatory proceedings and advice involving complex environmental and toxic tort issues, commercial insurance coverage questions ranging from cyberliability and data breach questions to environmental and D&O issues, and the problems of financial institutions. His extensive experience enables him to step in on short notice when necessary to assist clients in resolving problems or trying cases. Mr. Alleman is the Director of Dykema's Insurance Industry Group.